boo :'( this is greyed out on my Precision T7400 populated with dual Xeon E5420's even though Intel ARK lists it as having VT-x with EPT - any ideas? Did you enable the features in BIOS? 2. 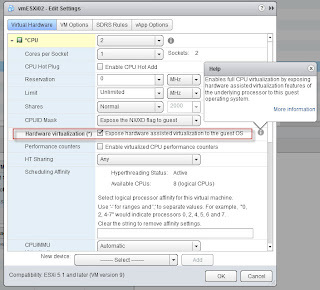 Once the VM (with the hypervisor) has been created, go to Edit Settings -> Options -> Guest Operating System choose 'Other' and then choose VMware ESXi 5.x. 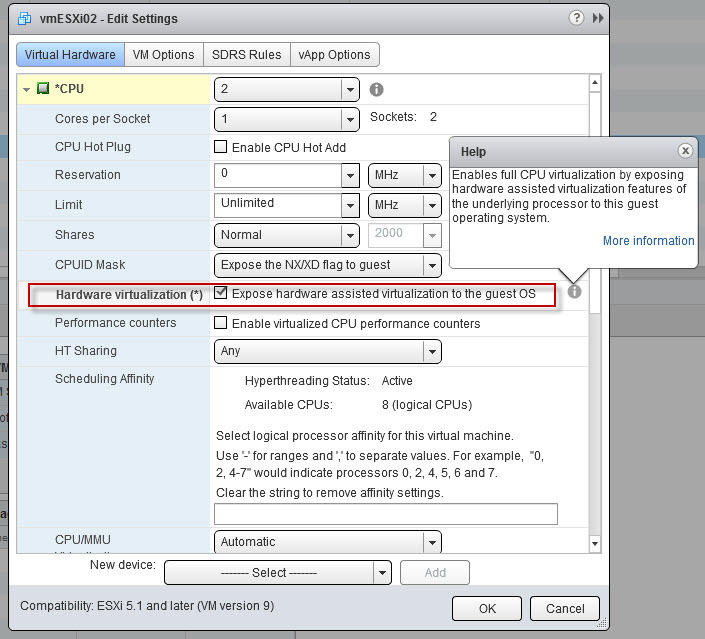 How do get to the paraemter "Expose hardware-assisted virtualization to the guest operating system." without the web client? I am running ESX5.1 free edition on a physical box, but want to run virtual ESX guests. The must be a manual paremeter i can put in the vmx file?